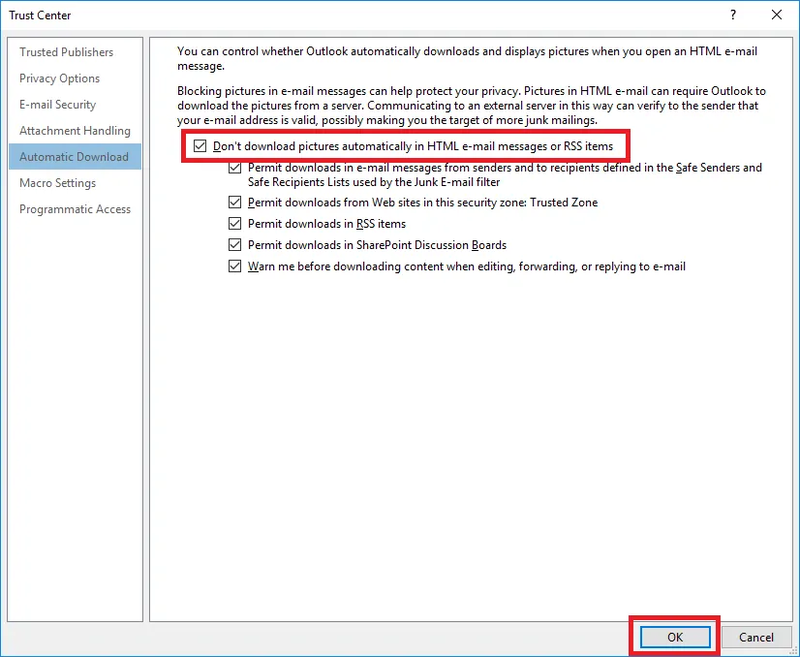 By default, Outlook will not automatically download images from emails that are received externally. Additionally, you will get a message in the header saying “Click here to download pictures. To help protect your privacy, Outlook prevented automatic download of some pictures in this message”. Although you could click on the message and click “Download Pictures”, when you have to do it for every single email, it gets a bit tedious and old after a while. In Outlook 2019, 2016, 2013 and 2010 simply go to File > Options > Trust Center > Trust Center Settings > Automatic Download and then uncheck “Don’t download pictures automatically in HTML e-mail messages or RSS items”. If you’re using Outlook 2007, go to Tools > Trust Center > Automatic Download and then uncheck “Don’t download pictures automatically in HTML e-mail messages or RSS items”. For Outlook 2003, go to Tools > Options > Security tab > Change Automatic Download Settings > and then uncheck “Don’t download pictures or other content automatically in HTML e-mail”, and also uncheck “Warn me before downloading content when editing, forwarding, or replying to email”. When you uncheck this setting, all future emails that you receive will automatically download images. Before disabling this feature, you should probably keep reading to find out the risks involved and why this security feature is enabled by default. If you trust the sender, you can allow all pictures and content to be automatically downloaded when you receive emails from them. You can either allow their whole domain (eg. company.com) or just their email address. 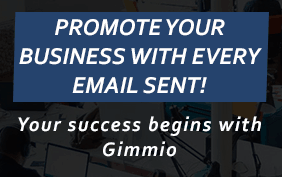 To do this, right click on the message header and click “Add Sender to Safe Senders List” or “Add the Domain @example.com to Safe Senders List”. Outlook has a security feature which prevents images and also some HTML elements from being downloaded from external emails until you allow it. Although this feature can be annoying, it actually exists for a very good reason. Imagine that you receive an email from an unknown sender, and you open it. The images in the email are automatically downloaded from the sender’s server. If the sender is monitoring that server, they can easily find out that you opened that email by checking if you downloaded the images. This will instantly tell them that your email address is valid. This is one of the many tactics that spammers use to find out if an email address is valid. This security feature stops spammers from snooping for email addresses – which is great. However, it’s not so great for email signatures as it doesn’t download the images automatically. Most of the time when a large company such as Microsoft decide to implement a security feature, there’s usually a good reason behind it. You’re making it harder for email spammers to get your email address. You’ll use less bandwidth downloading the emails because the images aren’t downloaded unless you allow it. Your mailbox storage will be smaller because you won’t be storing un-needed images. This reduces the overall email infrastructure costs for your company. You won’t be exposed to potentially insensitive or hurtful images. Which versions of Outlook have this feature? This security feature was first introduced in Outlook 2003 and has since been used in all subsequent versions.